API development solution provider Postman announced the latest version of its platform with new ways for developers and teams to manage access control. Postman 7.0 includes extended roles and permissions, allowing users to manage teammates on collection, team and workspace levels. According to the company, this is a major update that gives team leaders the ability to assign permissions at every level. 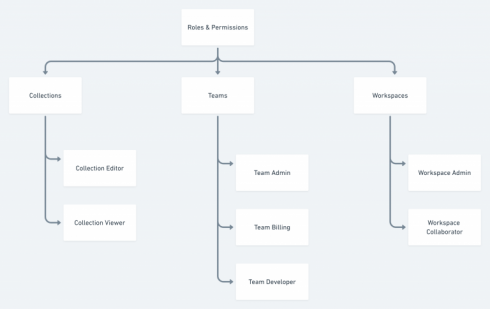 “Assigning roles and permissions to team members helps keep your team’s workflow organized and ensures that each teammate has a clear role in contributing to the development of your APIs. We know not everyone plays the same role in a team and that’s why Postman offers several roles and permissions to enable flexible team structure,” the team wrote in a post. In order to take advantage of this new feature, users will have to migrate to the latest version of Postman. More information on how to do that is available here. “Along with performance enhancements, and a better in-app learning experience, the latest release of Postman delivers the granular access management our users need to maximize operational efficiency and protect sensitive API code,” Abhinav Asthana, CEO and founder of Postman. Additionally, the company announced its API development platform is expected to come to beta this spring.